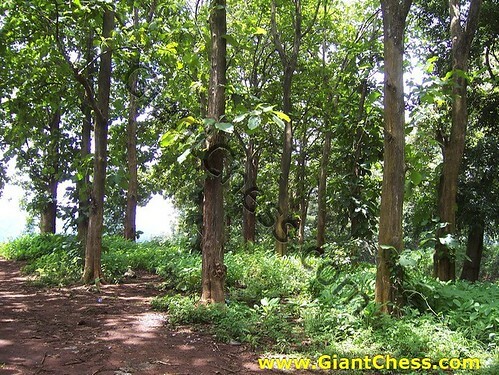 Teak forest means forest which filled of Teak trees. Teak forests is rarely experienced reforestation because Teak tree can live for decades in tropical weather. This is because Teak tree itself has a positive characteristic which almost not owned by other trees. This makes many people want to have The teak trees in their plantations. Beside its unique tree character, its timber also worthly. To prevent illegal sales of Teak wood, now the Teak forest in Indonesian has protected by the country and managed by local government. In this way, now the quality of Teak wood in Indonesia is more qualified and the wood sale more structured. To enjoy the Teak trees, some people often having recreation or camping at Teak forest area.